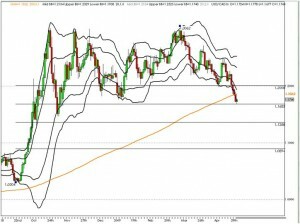 Canadian Dollar: How Much Further Can it Rise? The Canadian dollar has been on a tear. Over the past week, the currency has rallied more than 5 percent against the U.S. dollar and is up more than 10 percent since the beginning of March. On Tuesday, the loonie even hit a 6 month intraday high against the greenback. So far this week, there has been no economic data from Canada and in general, there haven’t been any remarkable improvements in the Canadian economy. IVEY PMI will probably decline given the disappointments in wholesales and leading indicators. With that in mind, what in the world is driving the Canadian dollar higher? There is only answer to that question – and that is Oil, with a capital O. Talk of a recovery in the global economy has cemented the bottom in commodity prices. The price of oil is now above $50 a barrel, leaving the fear that oil prices could fall below $30, a distant memory. 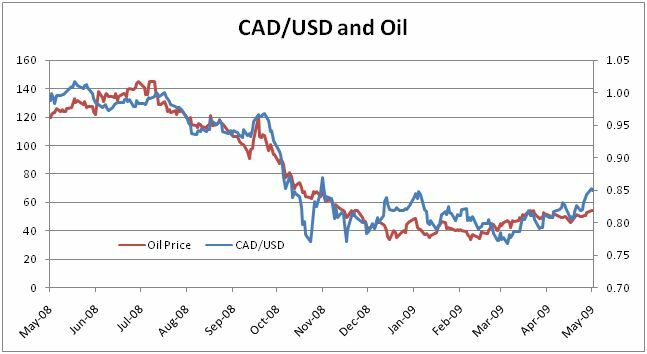 Over the past year, the positive correlation between oil prices and the Canadian dollar / U.S. dollar currency pair is more than 95 percent. The rise in oil prices is a direct consequence of the fall in the U.S. dollar and therefore it is the greenback that will determine the sustainability of the rally in oil prices and by extension, the Canadian dollar. The results from the stress tests on banks and the U.S. non-farm payrolls report poses the biggest threat to the U.S. dollar this week but we believe that the market will shrug off both event risks. A lot of the potential results from the stress tests have been leaked and the market is ignoring them for the most part. We also believe that non-farm payrolls will surprise to the upside given the improvement in the employment component of service sector ISM. Investors are focused on the recovery story and as long as the U.S. reports are not horrendous, risk appetite could hold steady which would be positive for the Canadian dollar. Even though Canadians are annoyed by China’s ban on pork imports, the country’s spending spree should include Canadian resource companies. China has invested heavily in Canadian oil sand projects and there is a decent chance that they will take advantage of the cheap oil prices to add to their investments. Like the U.S., China has been flashing signs of a recovery and Canada will stand to benefit from an upturn in both economic giants. 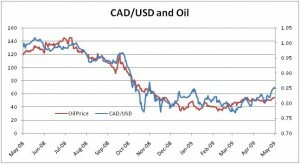 The only problem is that a USD/CAD exchange rate of 1.15 is damaging for Canadian exporters. Canadian policy makers may be eyeing that level very closely because it represents significant support. 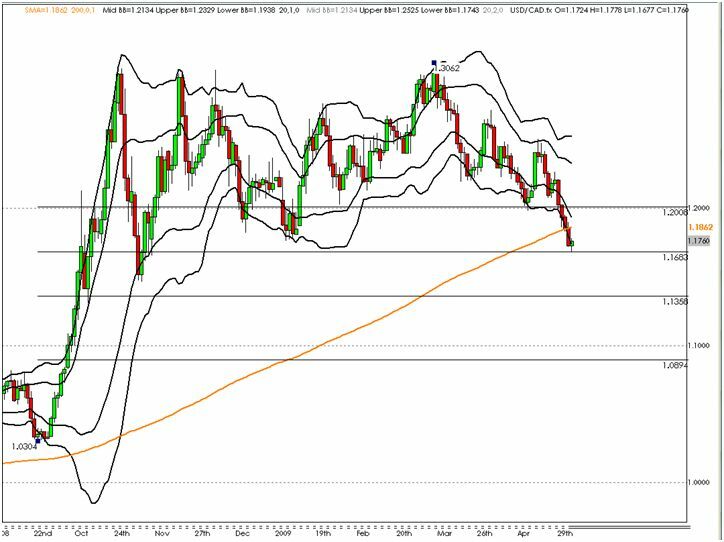 If USD/CAD breaks below the 1.15 level, there is no meaningful support until 1.05. In this current economic environment, the Canadian economy may not be able to handle much more appreciation in the currency. It will also offset any gains that higher oil prices can provide for Canadian oil producers. Near term support in the currency pair comes in at 1.1685, which is exactly where the USD/CAD sell-off stopped intraday. A further rebound up to 1.1850 is possible, but as long as the currency pair does not break above 1.1945 on a closing basis, it should be looked at as an opportunity to add to short USD/CAD positions. There is scope for further gains in the Canadian dollar this month -- I expect a test of the 1.15 level.